Like in most Brooklyn towns, Bergen Beach has its own set of pest problems. Several households have made complaints of the presence of pests in the area. Even a small pest infestation can bring with it disease and illness. From rodents to bed bugs to cockroaches each of these pests come with their own issues. Our company is driven by knowledgeable professionals who have been expertly trained in dealing with all types of pests. We also have the proper equipment along with the latest technology to solve infestation problems quicker, and more effectively. Our techniques are 100% eco-friendly, environmentally safe, and will not leave behind any chemical residue. Bergen Beach is subject to a lot of moisture, and added to that are leaky faucets in homes and offices. 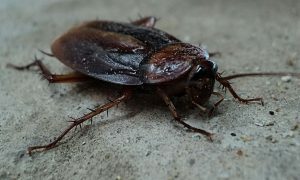 Cockroaches are easily attracted to water and wet areas. Whether you are a homeowner or own a restaurant, this is one pest that we all want to avoid having a problem with. They are known to cause a myriad of health issues. They can spread diseases such as salmonella and dysentery. Also, they can spur on allergic reactions in some people, and give asthmatics breathing problems. Our professionals will permanently seal off the entry points that the roaches may be using to get into your home. Also, they will fix any plumbing issues to keep them away. This will significantly reduce the infestation, and help to prevent future ones as well. Brooklyn is not alone when it comes to the scourge of bed bugs. They are literally everywhere across the world. 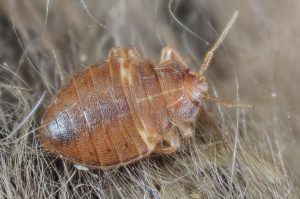 If you wake up in the morning to find red welt marks on your body, this is a strong indication of a bed bug infestation. They live in the dark, warm crevices of your mattress, and they come out at night to feed on your blood. After feeding on you, they get what they need to reproduce, and they can do so very quickly. This is why it’s so important to get rid of bed bugs as soon as you know for sure that you have them. Our services include thorough inspections and heat treatments. This will not only wipe out your current infestation but also their eggs too, preventing more from hatching. The preparation requirements for any of our treatments are minimal and will inconvenience you at a minimum. After the treatment, we will continue to monitor the infestation, and perform regular follow-ups if needed. You can find ant hills almost anywhere around your house. They appear harmless because you think they are far away enough from your house to be a problem. But they can still make their way into your home in droves. Ants primarily search for three things: food, water, and shelter. And our homes are abundant in all three. Keeping a clean house, especially kitchen and pantry can go a long way to keeping ants away. Sometimes you can’t avoid it though. Believe it or not, but a single crumb can attract a few ants. From there, those few ants can alert more ants from the colony to come in and feast. So, make sure all of your food is stored in tightly sealed containers. 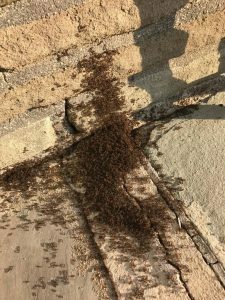 Once ants make their way into your home they can quickly get out of hand and then become harder to get rid of. Don’t wait! Contact a pest control service at the first signs of an infestation. There are several types of stinging insects that can take up residence around your home. They can build their hives in trees around your house or even on your house itself. It could be in the corner of the roof, on the siding of the house or even around a vent. Some bees are harmless, and won’t sting unless provoked. Meanwhile, some such as wasps and hornets, are extremely aggressive and will sting, sometimes multiple times. When it comes to bee removal, never attempt to remove them or disturb their hive on your own. This is one pest that requires a professional for their removal. Regardless of the type of bee, if you disturb their nest they will most definitely attack you. Their stings can be painful, but for those allergic to them, stings can be life-threatening. Unfortunately, many people don’t know if they are allergic or not until they are stung. 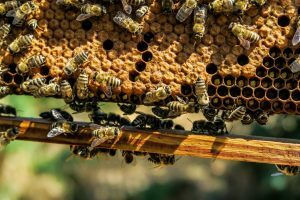 Our bee removal experts have the proper tools, and safety equipment necessary to safely remove the hives and relocate the bees. 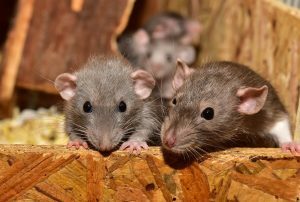 Not only are rats unattractive to look at, but they are unsanitary too which could lead to them spreading several diseases to humans. As many pests do, rodents like rats and mice, they search for food and shelter. It’s important to keep your eating area clean, especially of food particles and leftovers. Make sure food is kept in securely sealed containers, to cut off any food supply to them. The outside of your house is also important. Clutter and debris attract rodents as it provides them shelter. As for indoors, always keep your basement and attic free of junk or clutter. These areas are very common for rodents to infest as it not only provides shelter to live but where they will give birth to their offspring. Rats and mice reproduce alarmingly quickly and before you know it, you’ll have a full-on infestation to deal with. Our rat removal experts can get them out, and keep them out. Contact Bugged Out Pest Management in Bergen Beach Today! If you are experiencing a pest infestation of any kind, no matter how big or small, Bugged Out Pest Management is here to solve your pest problem. We will assess your situation, and come up with a customized plan to manage your particular needs and concerns. Contact us at the first signs of a problem.